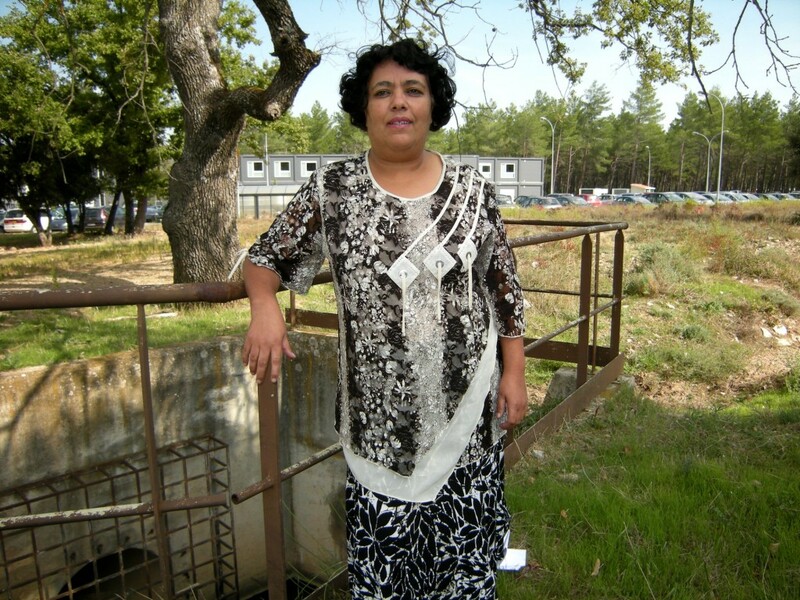 Zahra Desperrier, who has just spent six months as an intern with the ITER Magnet Division, obtained her Master's in fusion 27 years after graduating from Engineering School. One is never too experienced to go back to school. Take Zahra Desperrier for instance. She had been working as an engineer in electro-mechanics for more than 25 years when she decided to join the Fusion Master's program at Université de Provence in Marseille. "There's a moment in your career when you long for change and renewed challenges," she says. "Going into fusion, with the perspective of working one day for ITER, was a way of answering that need." Like fusion science, the job Zahra held at AREVA TA in Aix involved a lot of electromagnetic equations. The transition from fluid circulation in nuclear reactors' rotating pumps to the physics of confined plasmas was made naturally. In the fall of 2008, Zahra found herself sitting on a hard bench in an auditorium at Saint-Jérôme campus, next to much younger students. "It was a great experience. Of course you worry about the performance in a learning context, but in fact, neurons work very well and experience compensates for flexibility ..."
The program that Zahra joined at the Université de Provence is the recently established two-year course in Plasma Physics. Students can choose between three majors: Magnetic Plasma Confinement, Inertial Plasma Confinement or Plasma Physics and Technology (PPF). Considering her experience, Zahra was granted a dispensation and did the PPF course in one year. "I still feel a bit frustrated though. So I've just registered as a free auditor in the Magnetic Plasma Confinement course ..."
Obtaining her Master's degree—27 years after getting her engineering degree!—led to an internship at the ITER Magnets Division, the Holy Grail Zahra had been pursuing since she decided to get an education leave from her job at AREVA. "ITER is like another world," she says. "There is diversity even in the ways people from different cultures address scientific issues. And there's understanding and tolerance." In Building 507, Zahra got to work for six months on "theoretical formulations to characterize the critical surface in niobium-tin strands"—something that the PPF course touched on briefly. "It's about devising theoretical models that will reduce the amount of measurement points in the characterization process," she explains. Reducing the number of those measurement points without altering the quality of the overall results means saving a lot on time and cost. "For the first time, we've done it," says Zahra. "I found that there was a new direction to explore, a solution that achieves this by way of mathematical tools. We brought down the amount of measurement points from more than 500 to less than 30." Not bad for an intern. But now comes another challenge: "Joining ITER or a similar installation like CERN ... But first, I need a couple of days of vacation to take care of my house, my husband and my cats."